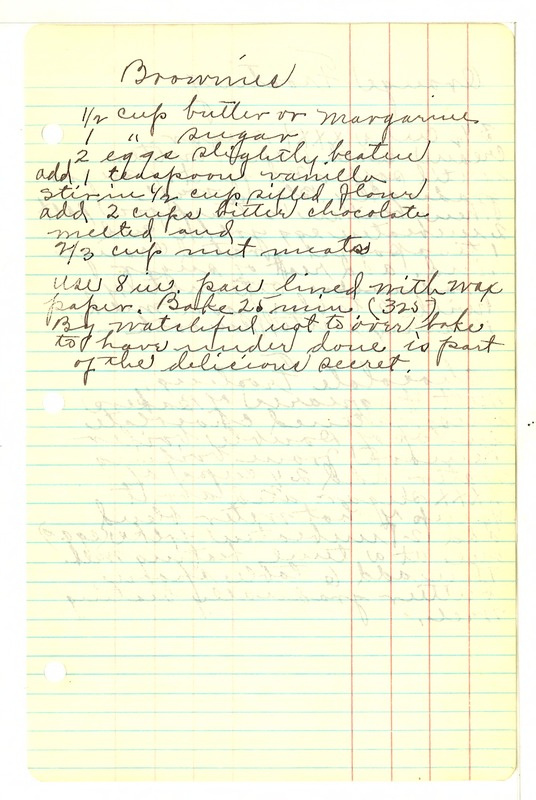 Brownies 1/2 cup butter or margarine 1 " sugar 2 eggs slightly beaten add 1 teaspoon vanilla stir in 1/2 cup sifted flour add 2 cups bitter chocolate melted and 2/3 nut meats Use 8 in. pan lined with wax paper. Bake 25 min. (325) By watchful not to over bake to have under done is part of the delicious secret.